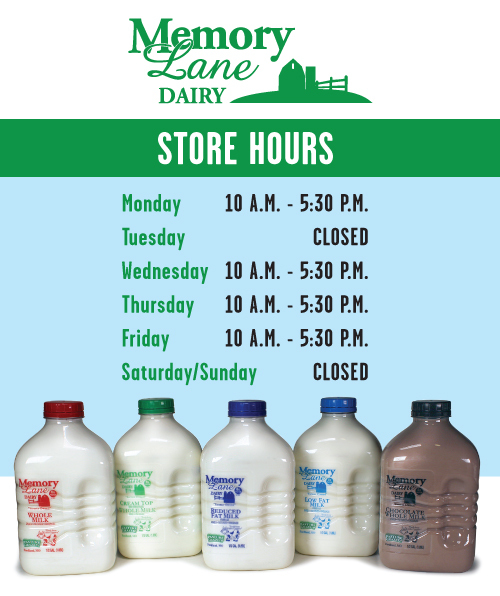 Memory Lane Dairy values our customers, and we want to say thank you for choosing our products over and over again. You can visit our store on Monday, Wednesday, Thursday and Friday, from 10 a.m. to 5:30 p.m., at 42 Rose Petal Lane just east of Fordland, Missouri, at Highway 60 and Junction Z. We also distribute our fresh, craft milk to stores throughout Missouri, Kansas, Oklahoma and Arkansas. If your state isn’t on the list, contact us.